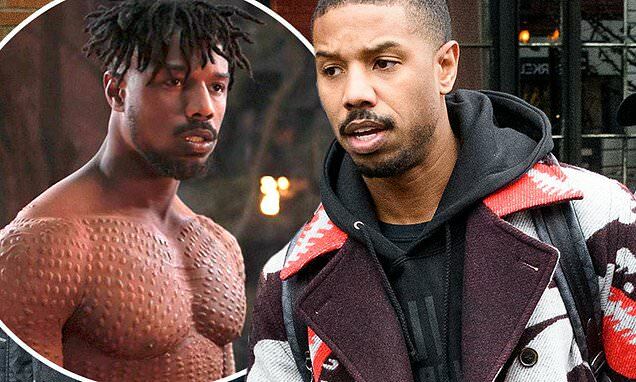 Back in November, Michael B. Jordan, the actor who played Killmonger in Black Panther opened up about needed therapy after the film. This week, Jordan spoke with Oprah Winfrey and dived deeper into detail about his mental health. According to Yahoo Entertainment, Michael B. Jordan opened up to Oprah while taping Oprah’s new TV special. Michael B. Jordan opens up about mental health. “I went to therapy, I started talking to people, starting unpacking a little bit,” he said. When asked where did he get “all that nastiness” from, the actor confessed it came from “isolating” himself. Read More: Michael B. Jordan To Return For Black Panther 2? “Of course it’s an extreme, exaggerated version of the African diaspora from the African-American perspective, so to be able to take that kind of pain and rage and all those emotions that Erik kind of represents from being black and brown here in America … that was something I didn’t take lightly,” he said. The experience of getting into Killmonger does sound taxing and the actor admitted he didn’t have an escape plan, so acclimating back to normal was “tough” at first. It’s no surprise the actor decided to talk to someone about what sounds like a dreadful emotional experience. “When it was all over, I think just being in that kind of mind state … it caught up with me,” he said. “I went to therapy, I started talking to people, starting unpacking a little bit,” he explained. Luckily, the therapy helped the actor a lot. Many fans are grateful that he’s been so open about his experience. This is especially when there’s an unfortunate social stigma about men opening up about their mental health. While the role may have been difficult, we’re really grateful for the performance given by Michael B. Jordan. Black Panther is also up for seven Academy Awards, which includes Best costume design, Best original music score, best sound editing, Best Original Song and Best Picture. Fan Theory: Is The Infinity War Teaser Actually An Endgame Trailer?